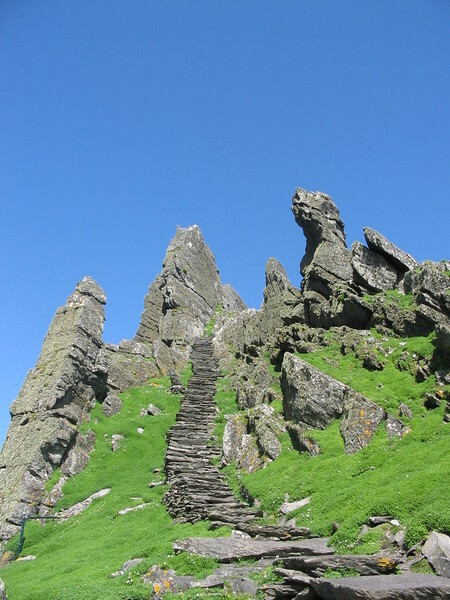 During her visit to Ireland in 2006, Christine Schramm traveled to the island of Skellig Michael, a UNESCO World Heritage site about seven miles off the country's southwestern coast. The island, which houses a 7th century Christian monastery, was nearly deserted when Schramm visited, leaving her to wander its grounds freely. "It was most of the most amazing experiences I've ever had," she said. Ireland's earliest Christians built the monastic complex perched atop the pyramid-shaped island. It was occupied continuously until the 12th century, when weather conditions forced its monastic community to the mainland. Due to its isolation, which has kept visitors away until recently, the complex is very well-preserved. 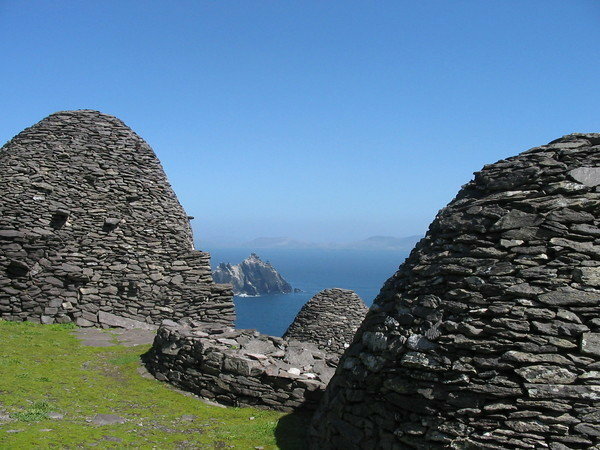 Beehive-shaped huts atop Skellig Michael. In the background is Little Kellig island, a nesting ground for seabirds.